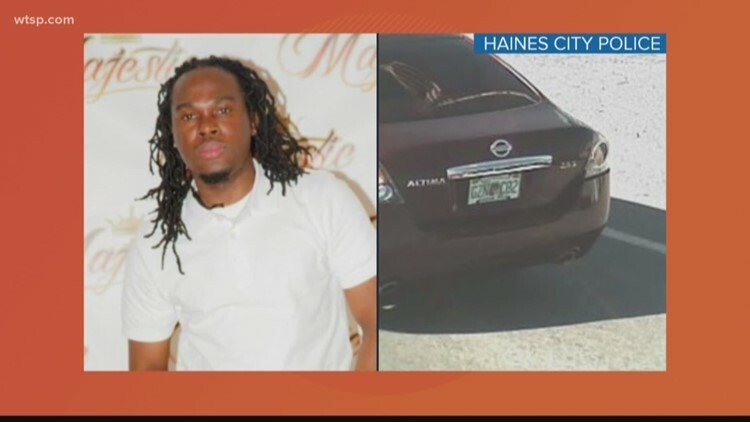 HAINES CITY, Fla. -- The girl Haines City police said was shot by her mom’s boyfriend Friday night has died at the hospital. Police said Elizabelle Frenel, 6, died from her injuries just before 11 p.m. Saturday; she was shot in the temple, face and arm. The shooting happened before 7:30 p.m. Friday at the Citrus Ridge Apartment Complex. Two relatives of one of the victims arrived at the apartment complex to check on them, and Cherizard told them that she was not there, police said. One of the relatives returned and got into a confrontation with Cherizard, who fatally shot her, police said. Cherizard reportedly drove off in a burgundy 2011 Nissan Altima with Florida tag GZN C82. The car was spotted passing the Boyton Beach, Florida, toll plaza just after midnight Saturday. It is located just south of West Palm Beach. "Because of Cherizard's cowardly actions -- and they are nothing short of cowardly -- a family now has to bury three members, including a young child who had her whole life in front of her," Police Chief Jim Elensky said in the release. "Our team is doing everything we can to bring this person to justice and help provide closure for this family through this absolutely horrific tragedy. "Our thoughts are with them as we continue this investigation." Anyone with information about Cherizard's whereabouts is asked to call 911. To remain anonymous, call Heartland Crime Stoppers at 1-800-226-8477 (TIPS).